I was heading home Tuesday night, about 10:30 p.m., maybe 10:45 p.m., south down Western Avenue near Adams Street where fireworks started popping off all around my car. 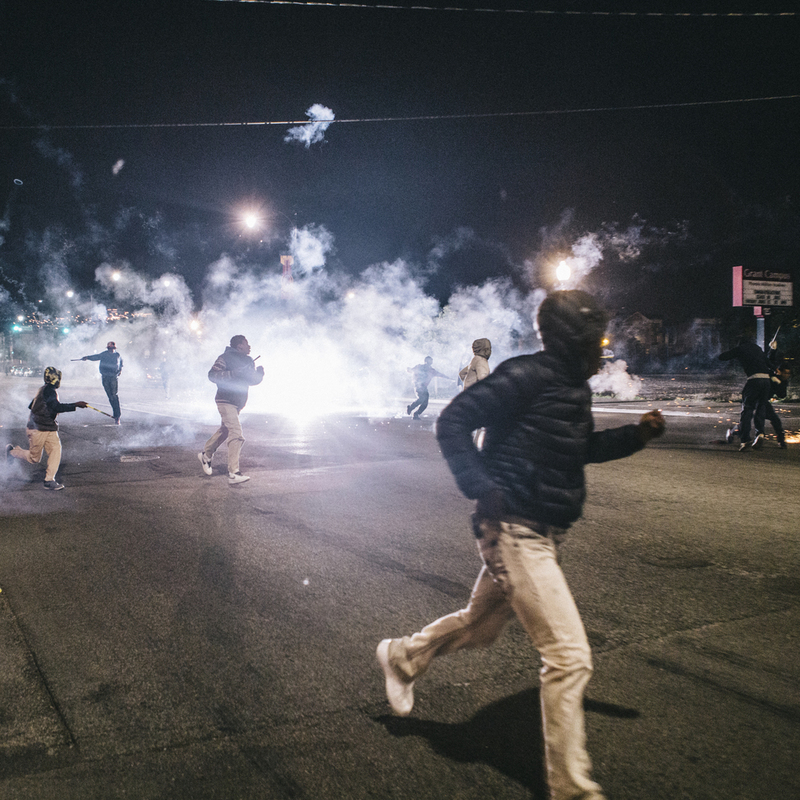 Looking around I saw teenagers in two groups on either side of Western pointing Roman candles at each other, as sparks ricocheted off my car and the vehicles around me. I drove to Van Buren St. and turned my car around while pulling my camera into my lap. I parked my car and walked into the fray, aware that this might be the beginning of something less playful. I made my way into the the group of men and teenagers grouped on the West Side of Western Avenue A man asked why I was shooting and I said I was a photojournalist for RedEye. e yelled to the group to leave me alone and then told me to make them look good as I put my camera in front of my face and pulled my button-up shirt over my head to keep sparks from getting in my face or hair. I began photographing the group on the East Side of Western Ave as they ran at the group coming from the West Side of Western Avenue. Meeting in the middle of the street with Roman candles pointed towards each other, they engulfed each other in rhythmic streams of sparks. I backed up to the sidewalk as a cop drove into the middle of the battle, breaking it up as one young teenager pointed his Roman candle over his shoulder sprinting away. The cop chased one group around a nearby vacant area until they had all dispersed in all directions. Turning around I realized the other hadn't stuck around to watch the cop's actions and I was standing alone. Pulling my shirt down I walked back to my car and finished the drive home. An onlooker told me the two groups were rivals of some sort, but that you weren't sure. I think it was mostly all for fun; men of all ages like playing at fighting.